B.A. in Political Science and J.D. Kevin McAleenan is an American attorney and government official. He is the Acting United States Secretary of Homeland Security and the Commissioner of U.S. Customs and Border Protection. As of 2019, President Donald Trump announced an intention to appoint him to be the acting United States Secretary of Homeland Security, replacing Secretary Kirstjen Nielsen. Here is everything you need to know about the esteemed American attorney beyond just his official works. What is Kevin McAleenan famous for? An American attorney and government official. Being a winner of the Presidential Rank Award. Where did Kevin Mcaleenan born? Back to his early life, Kevin was born as Kevin K. McAleenan in Honolulu, Hawaii. He is the child of Michael McAleenan, currently a hearing officer in l.A. County mental health court system, and Andrea (Hautala) McAleenan, now a special advisor to the president of Azusa Pacific University. Talking about his nationality, he is American and belongs to the White ethnic group. Move to his education details, He earned a B.A. in Political Science at Amherst College in 1994 and J.D. at the University of Chicago Law School in 1998. When did Kevin McAleenan start to work as an American Government employee? After his graduation, he practiced law in the private sector from 1998 until 2001, when terrorist attacks that September motivated him to apply to work for the FBI. He was recruited to help start up the new CBP Office of Antiterrorism, eventually becoming its executive director. He became CBP's area director of Los Angeles International Airport (LAX) in 2006. During his time as the port director of LAX, he was responsible for the security operations for that airport as well as 17 other airport facilities. 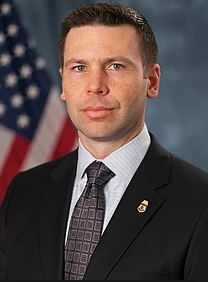 In 2011 McAleenan became the acting assistant commissioner of the Customs and Border Protection, Office of Field Operations. In this position, he was in charge of airport operations and was responsible for securing the US border while ensuring lawful trade and travel at 329 ports of entry in the United States of America, as well as 70 international locations in more than 40 countries. After 2 years in private consulting, McAleenan returned to CBP in 2010, leading field operations until being appointed deputy commissioner in 2014. In 2015 McAleenan was awarded the Presidential Rank Award, the highest civil service award in the United States. In 2005 McAleenan received the Service to America Medal, Call to Service Award for his leadership and help in developing and implementing a comprehensive anti-terrorism strategy for border security after September 11, 2001. In August 2018, McAleenan was interviewed by The New York Times, where he stated that he is aware that it is illegal to detain families longer than 90 days. Later in the interview, McAleenan went on to say that he feels that President Trump's executive order was an "important recalibration". He also states that the "well-intended efforts are not going to succeed if they lose public interest". McAleenan is a supporter of U.S. Immigration and Customs Enforcement, stating that they do "critical work". In the rest of the piece, he goes on to state his belief on the topic of child separation. In 2018, McAleenan sat down with the USA Today editorial board, where he stated that he plans on spending more time "analyzing ways to modernize border patrol facilities". At the time of the interview, he planned on traveling to the southwest portion of the United States where most of the migrant children were being held. 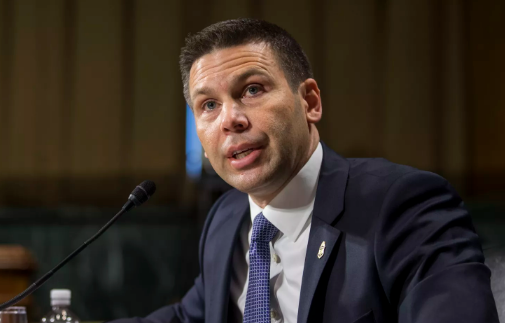 On April 7, 2019, President Donald Trump announced an intention to appoint McAleenan to be the acting United States Secretary of Homeland Security, replacing Secretary Kirstjen Nielsen. Who is the wife of Kevin McAleenan? Reflecting his personal life, Kevin is a married man. He was married to Corina Avalos McAleenan, a consultant at Deloitte. The couple blessed with two daughters. We have not information about how to they met and when they exchange their vows. If you have, please share with us by using comment. As of now, the couple lives blissful life with their two daughters. What is the net worth and height of Kevin McAleenan? There is no information about how much he assumed yearly. His income was not disclosed in media yet. He probably earns a decent amount of money from his profession which shows his present lifestyle. If you have information about his income details, please share with us by using comment. Our one of the team member also trying to disclose his income. In the case of disclosed, we will let you know. As his net worth, his body information was not found media. He must have decent height and body weight which makes him attractive and handsome. As of 2019, President Donald Trump announced an intention to appoint McAleenan to be the acting United States Secretary of Homeland Security, replacing Secretary Kirstjen Nielsen.